The 2019 New Zealand Cycle Classic has received a significant boost thanks to Grassroots Trust, who have come onboard as the naming rights sponsor. Race director Jorge Sandoval is thrilled to announce that the five-stage elite international men’s road cycling race, the only Union Cycliste Internationale (UCI) 2.2 sanctioned race to be held in New Zealand in 2019, will now be known as the Grassroots New Zealand Cycle Classic. 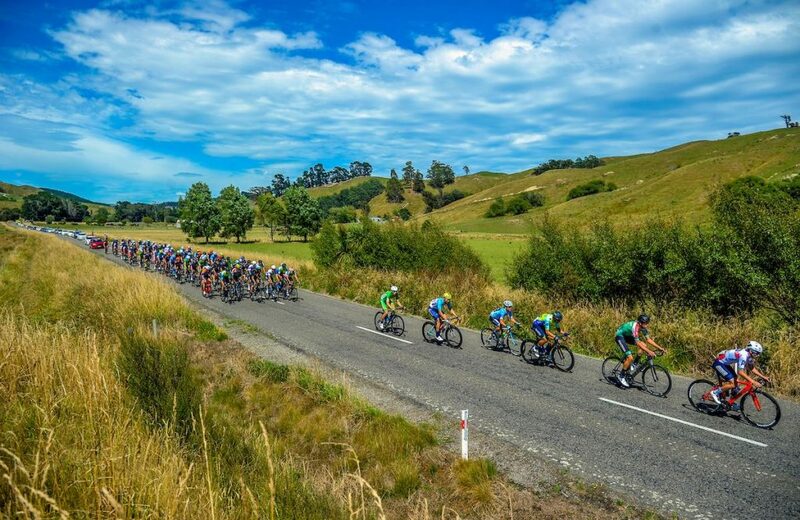 It will be staged entirely in and around the surrounds of Waipā from January 23rd – 27th 2019 and will feature new race routes that will test all riders. “Grassroots Trust have been supporting many sports, community and education organisations since it was established in 2003 and we are very grateful for their support to help deliver New Zealand’s biggest international cycle tour,” says Mr Sandoval. Mr Sandoval has been running the New Zealand Cycle Classic for the past 31 years in Wellington, Manawatu and Wairarapa. Earlier this year, he was offered a fresh start to stage the 2019 event in Waipā thanks to generous support of the Brian Perry Charitable Trust, Waipa District Council, Three Peaks and now, Grassroots Trust. He says it will help him achieve a shared goal of growing the race from a UCI 2.2 accredited stage tour to a UCI 2.1 accredited tour. “We share the same vision of growing the Tour and cementing its reputation as the premier road cycling event in the country. This vision also sees a significant community event developed to complement the Cycle Classic and celebrate the Waipa District,” says Mr Sandoval. In addition to announcing today’s naming rights sponsor, Mr Sandoval was pleased to announce new stage routes for riders. He says on paper the first three stages are very undulating, with between 120 – 140 kilometres of racing predicted to take its toll on lots of riders. Stage four is a 143km slog that will see cyclists’ race from Cambridge to Maungakawa Hill via French pass. Here they will tackle Maungakawa Hill twice with the race finishing at the top of the hill. He says stage five will finish in Cambridge Square with the Party on the Park. Being held simultaneously with the Grassroots New Zealand Cycle Classic is Ride New Zealand’s Festival of Cycling, a week-long festival encouraging people of all ages and stages of cycling to get out and ride more regularly. These two events have been made possible thanks to the generous support from the Brian Perry Charitable Trust and the Waipa District Council. “Having the Grassroots New Zealand Cycle Classic and Ride New Zealand’s Festival of Cycling being held simultaneously will give the entire community a chance to see some of the world’s best riders in action and provide them with opportunities to get out on their own bikes and discover the Waipā district one road at a time,” says Mr Sandoval. Please note race stages are subject to change until the TMP is approved. For more information, complete race route please visit www.cycletournz.com.